Midsommar is coming up quick! Now might be a nice time to stop and pick up some holiday supplies before heading out for the festivities. 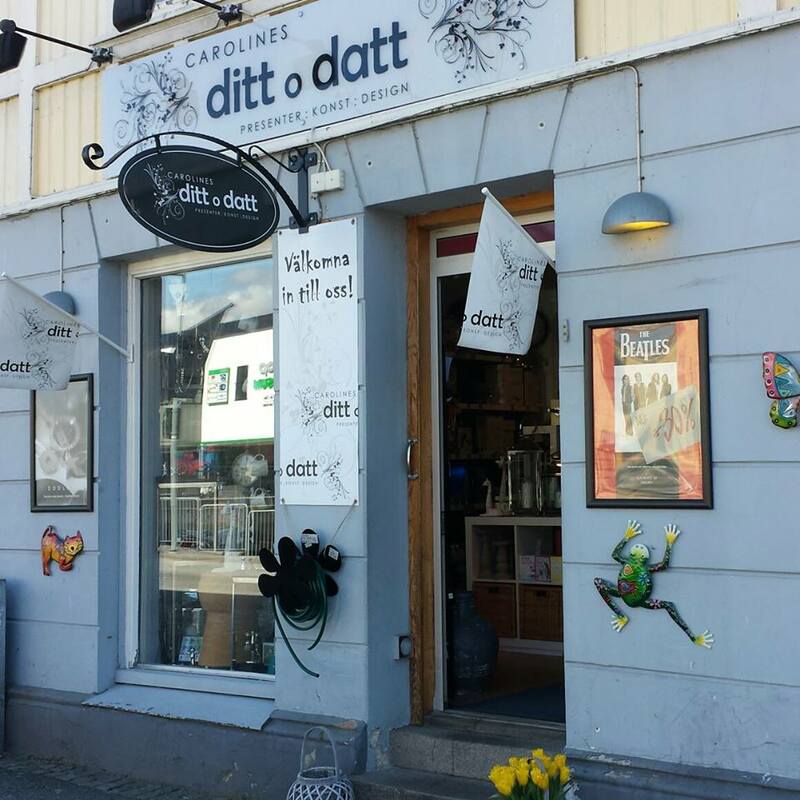 If you are in Strömstad, Bohuslån Carolines ditt o datt shop has just the right stuff – Towels, shot glasses, and mini-maypoles are just a few to choose from. We would like to express our happiness in being represented in Strömstad by Carolines ditt o datt. Their interest in Swedish design and appreciation for beautiful, fun and functional product is right up our alley at Lions & Cranes! Click the photo above to visit their Facebook page!